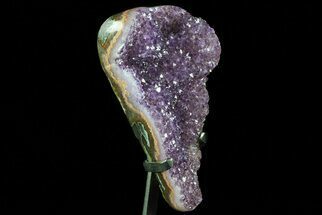 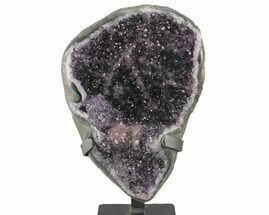 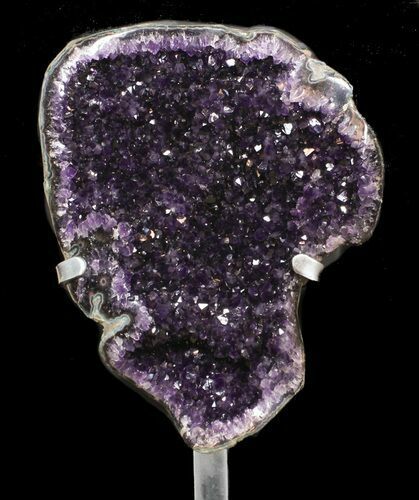 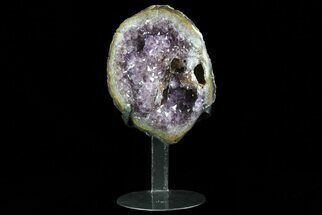 This is an absolutely spectacular amethyst geode on a custom metal stand. 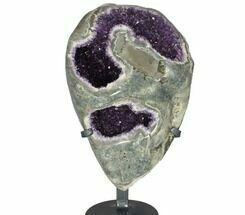 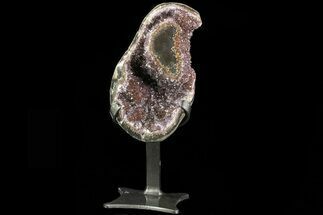 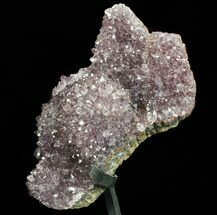 The geodes has dark, well formed, grape juice colored crystals and the edges have been polished to display the agate "rind" The geode itself is 15.7" tall and stands 24.4" tall on the metal stand. 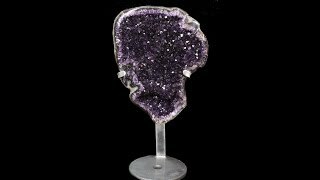 Be sure to check out the video attached to see how it sparkles.